World Animal Protection (WAP) has released a shocking report showing that some of the world’s biggest fast-food giants are failing to address the extreme suffering of chickens raised for their meat in factory farms. The report, entitled The Pecking Order 2018, is the first such study to look into the issue of the welfare of chickens destined for the dinner table. Nine of the world’s most well-known fast-food producers were included in the assessment (Burger King, Domino’s Pizza Group, Domino’s Inc, KFC, McDonald’s, Nando’s Pizza Hut, Starbucks, Subway), which looked at company policies regarding chicken welfare, any targets and objectives documented by the companies, and the transparency of reporting progress. Shockingly, these international powerhouse companies, who make enormous profits from killing hundreds of millions of chickens each year, are doing very little to ensure the animals in their supply chain receive even minimal welfare standards at factory farms or slaughterhouses. None of the companies rated higher than “Poor” on WAP’s assessment scale. Not a single one has a worldwide policy for improving chicken welfare; in fact, only three even show an interest in the issue — Burger King, Starbucks, and Subway — however, they only focus on limited regions or countries. McDonald’s, KFC, Pizza Hut, and Nandos were rated as “Very Poor,” while Domino’s Inc and Dominos PLC failed altogether. With such massive exploitation of animals for consumption, these companies have tremendous power to change the lives of these birds for the better. WAP is asking them to avoid sourcing caged chickens and give the animals a more natural and stimulating environment in which to display natural behaviors. They also urge companies to use birds that have a healthier growth rate. As farmers adapt to meet increased demands, they select breeds that grow too quickly and suffer from numerous health issues as a result, including pain and lameness, as well as strain on the heart and lungs. In the meantime, we consumers have the power to stop the suffering by leaving chicken off of our plates and choosing cruelty free, plant-based foods, instead. What seems to be the hold-up, people? Did Trump have a temper tantrum? Was the weather too disagreeable? Get up on the wrong side of your conscience? You have the authority to make something happen, to take a little misery out of life and make things a little better. What are you waiting for? Factory Farms should be illegal, and animal cruelty should be a felony. Please stop this awful practice. Can we please have happy chickens! These creatures r part of God’s legacy to us & our planet. Why do these poor creatures deserve such horrible inhumane treatment? They r a treasure that we seem to take completely for granted. THIS IS BARBARIC AND HORRIFYING! I find it hard to believe that they would inject the killer shot in the little lab puppy and then walk out of room and let her die all by herself. Doesnt this seem so cold and so heartless!!??!! Well I guess since they’re in the killing business, they’re also in the lack of compassion business too. I can’t wrap my head around this……how is it that no one felt the urge to hold and cradle her as she was dying. They may appear to be out if it, but they are totally aware, like people in comas and her “last” view of humans was their total HEARTLESSNESS. Well baby girl your next human , a worthy veteran will love and cherish you. Live the good life and forget those bums who “killed’you. And that’s why l stopped eating animals 30 years ago. No different than eating your dog or cat. They feel pain and suffering. There is nothing natural in how major factory farms raise animals. It is torture plain and simple. I can not support it. Please consider a vegan lifestyle. Pain free and much healthier. We all need to get on this. I cant even imagine what life for these chickens must be like. We have the power to change this and make the world a better place!!! 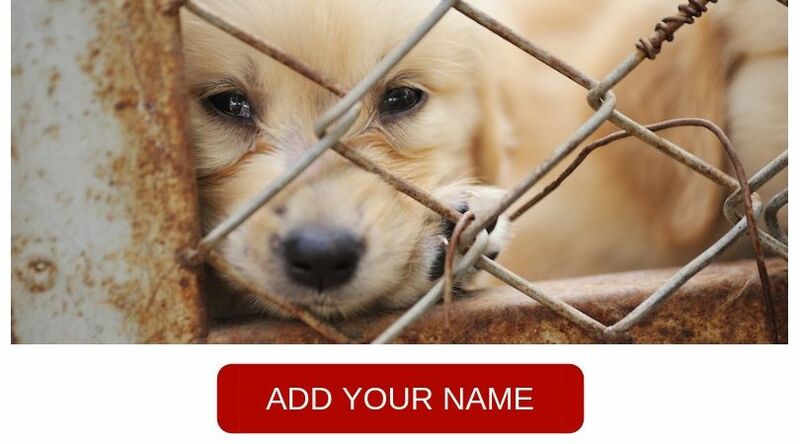 How about it people please sign for those who cant speak for themselves. I don’t understand how McDonald’s can get away with their “high animal welfare” advertisement that’s currently being shown on tv in the uk. Surely it’s a form of fraudulent misleading claims? Go vegan ! Poor chickens. Cruel fast food giants ! Get a soul and a conscience! This is completely irresponsible! Have respect for these animals. Please, people…DEMAND STRONG ANIMAL PROTECTIONS FOR ALL ANIMALS, TAME & WILD. I feel physically sick that all these large, rich firms are growing larger and richer due to the suffering and abuse of living creatures. These chickens endure a living hell and a similar death yet none of the money earned by firms goes to making their short life even bearable. There’s no excuse for these fast food companies to allow such things to continue. Step up to the plate and do the right thing. I used to be a Starbucks fan but no more. It doesn’t take a whole lot to have some ethics. I only support companies I feel act in an ethical fashion. As for the others on the list I stopped supporting you a long time ago. These global companies need to face upto their corporate responsibilities. This cruelty is completely disgusting. What kind of people are these? These people are so repulsive, I just want to vomit thinking of them. Animal cruelty is what made me because vegetarian years ago. I refuse to buy chicken products from these companies AND I refuse to patronize Chick-fil-A due to their policies of funding hate groups (groups that promote hate against LGBTQ people). I have also taken a stand at work against groups that bring in lunches from these companies, then re-sell their products for fundraisers. The big corporations need to feel the heat. Such a shame that major food outlets are not doing more to promote the welfare of animals. There is no need in this world for animal cruelty. If one must eat meat then at least allow the poor animals to have a reasonable life and some dignity in death! Surely a happy animal will produce better meat. As a non meat eater I abhor any cruelty to animals and recommend that people go vegan. Sensible pioneer companies are exploring alternatives to meat and they must be applauded. Those companies that don’t should be avoided and they will inevitably die. This shown you that most people are only interested in the money they are going to get for these chickens. They could care less that the chickens are put through.